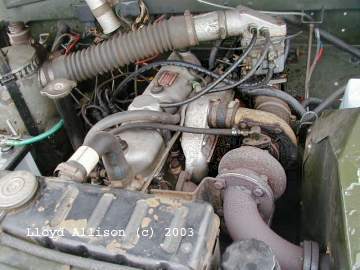 Turbo charger kits were moderately popular for (petrol) series Land-Rovers in the 1970s. This S2A was seen in 2003. It has water injection. 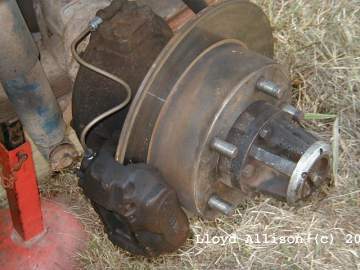 Disc-brake conversions were also in vogue in the 1970s and can still be obtained (2003); this one is on a S3. Above: Two hybrids by well known LROCV personalities: A "100" and a coil-sprung SIII. 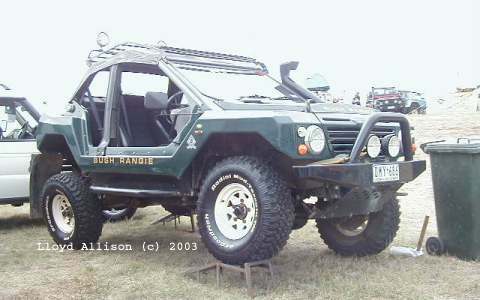 The Dakar 4×4 is a kit car based on the Range Rover chassis and running gear. One sometimes shows up at the Victorian 4WD Show (4WD Field Day), Wandin, Victoria. 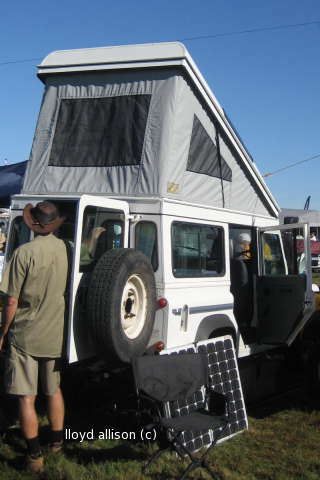 Such conversions are ideal for a vehicle that has its bodywork damaged beyond repair. 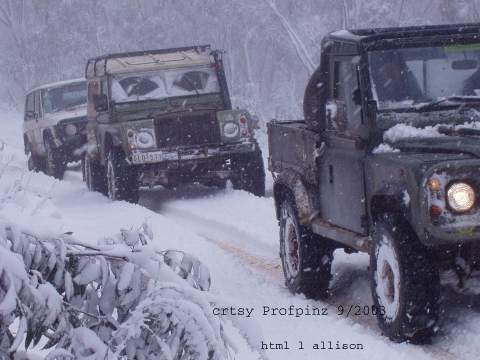 Note: The John Davis Bushranger 4x4 (Australian) below is derived from the Dakar but has evolved away from that vehicle considerably. 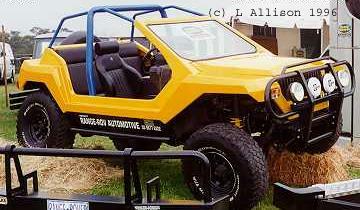 The Bushrangie is made by John Davis Motorworks -- a fibreglass body, very like the Dakar -- on a Range Rover (S1) "donor" chassis.